I bought 7 does from a trusted friend, and for 2 weeks everything went good. Then one after another the new does starting dying then what they had spread (maybe from flies) to my Red New Zealands. I started losing a lot more rabbits, mostly babies. Today I lost 2 more. I have never gone through anything like this and believe me in the future I will quarantine all rabbits coming in! The ERE I predict is being medicated and I have removed all rabbits I have left from my rabbitry and treating it to eradicate this disease. All rabbits are being medicated. It just breaks my heart that I brought this disease into my rabbitry! No I don't know for sure if it's ERE but it fits all its descriptions. If anyone has any tips on what I can do to disinfect everything in the rabbitry to get my rabbits back into it please e mail! what did you do to treat them? 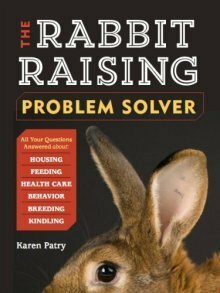 What did you do to successfully treat your rabbits? Do you have a medicine name? It could be that. Sicknesses go through everyone's barn once in a great while. Quarantine the sick ones, disinfect all the cages, and that's pretty much all you can do.